Sorry, No Pics. Just a Mini Rant. I lost my knitting mojo, you think possibly you could help me find it? It all started right before Xmas when I finished those socks. You know, the ones I was making for my cousin from the Socks That Rocks yarn that she picked out at Rhinebeck. By the way I gave them to her for Xmas and she loved them but I’ll save the picture for another post. Anyhoo, that project seemed to be my crutch. Socks are my crutch project. 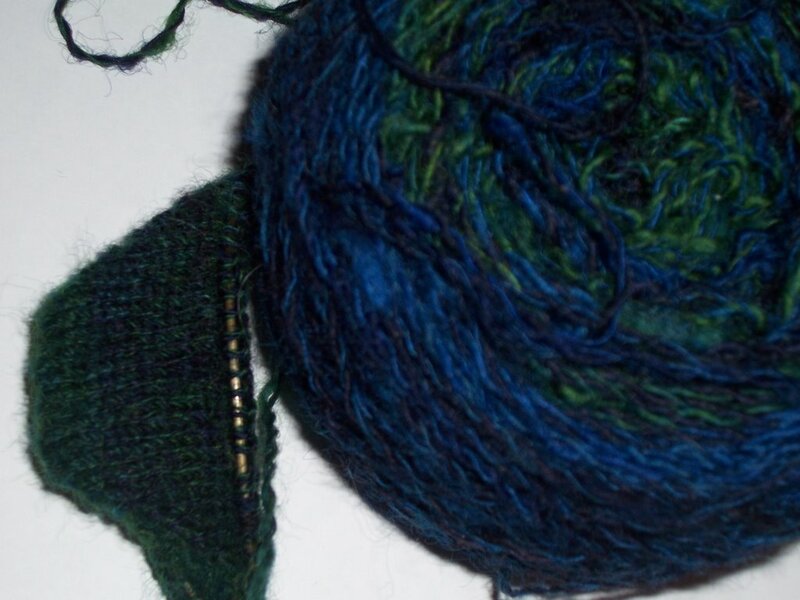 I never realized how much of a process knitter that I am but whenever I need something to keep my hands busy, I usually reach for the flavor of the month project which is usually a sock. These last couple of days with nothing to knit has been driving me crazy. I mean I literally sometimes catch my fingers “going thought the motions” even though there are no needles in my hand. It’s spooky. 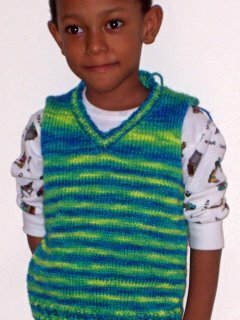 I used to believe that I was the “finished product” type of knitter. I enjoy speedy projects that give me quick results like hats, mittens, socks, basically all accessories. Maybe that’s why I’ve been a little tepid to try a full fledge sweater. It’s like that ingrain fear that most new knitters feel towards cables. That’s how I feel about sweaters. There’s nothing holding me back but yet and still I keep on implying these self imposed road blocks stopping me from just casting on the doggone thing and get it over with. I figure if I write it down then maybe it’ll give me more motivation to get crackin. If you can’t tell already, I’m a little frustrated. Like I said in the beginning, I lost my knitting mojo. I’m almost positive that it’s not gone for good but it’s irking the hell out of me. What has led me to believe that my mojo’s gone awol is due to the fact that I cannot get gauge to save my life and everything I try to cast on for comes out very wonky. Case in point, I tried to cast on for a pair of fair isle mittens that I charted from Hello Yarns Pattern. I swatched for two hours straight and I couldn’t get gauge with the yarn weight called for and needles ranging from 5US to 8US. So I flung the whole thing across the room put it to the side and tried to start something else. I thought that maybe I should try something easier so the next day I tried to cast on a scarf for the red scarf project using some stash worsted weight yarn. For some reason, out of all the 8 stitch dictionaries that I own, I couldn’t find one stitch that I wanted to use for the scarf. I had 4 false starts before I flung that across the room put it to the side also. The next day, I figured that what I needed was some inspiration, so with gift card in hand, I headed over to Barnes & Nobles and picked up this book. I wanted to try her toe up sock patterns so badly that I could taste it. I just knew that this was the project for me. As soon as I got home, I decided on using up some Koigu that I had in my stash for the longest. Now you have to understand that in this book, the toe up patterns are for 12 stitch repeat patterns so you can only cast on for a gauge of 8sts or 5sts per inch. Because of the yarn, my goal was 8 stitches/inch. So first I tried with 3’s. Fabric to loose. So I went down to 2’s. Still too loose. Then I had to search for a good 30 minutes for my size 1 addi turbos which had mysteriously fell out of my regular needle bin and into one of my yarn bins. Made a swatch and got a gauge of 7.5 sts/inch. Now I really don’t remember if I have size 0 addi turbos because I’m a majic loop type of gal so I had to break out the dreaded dpns (the horror). So I casted on and I just knew I was going to get gauge. Well guess what? Still freakin 7.5 sts to the freakin inch. (ugh). So around 11:45 last night , I finally surrendered and figured that my mojo must be lost and hopefully it’ll soon find it’s way back home. In the meantime, I’ve decided to work on all my wayward projects that have just been sitting there all patient like. 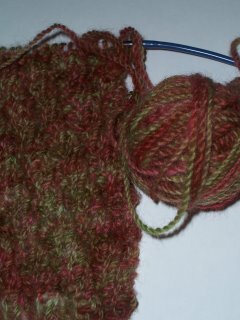 So right now I’m working on my handspun socks that I’m not too crazy about. But hey, I’ll knit on anything right now so long as I don’t have to ride the trains staring off into space or trying to read over my neighbors shoulder. 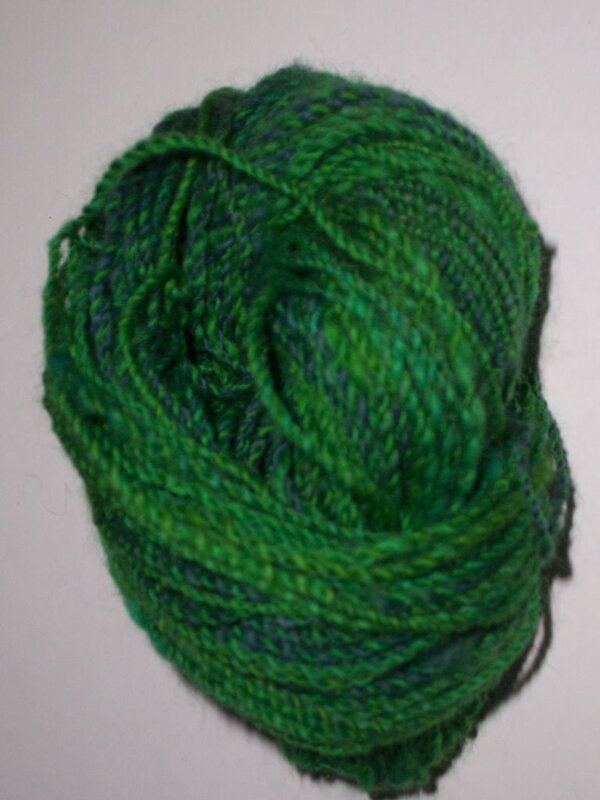 By the way, congratulations to Rosi G for scoring some of my handspun. 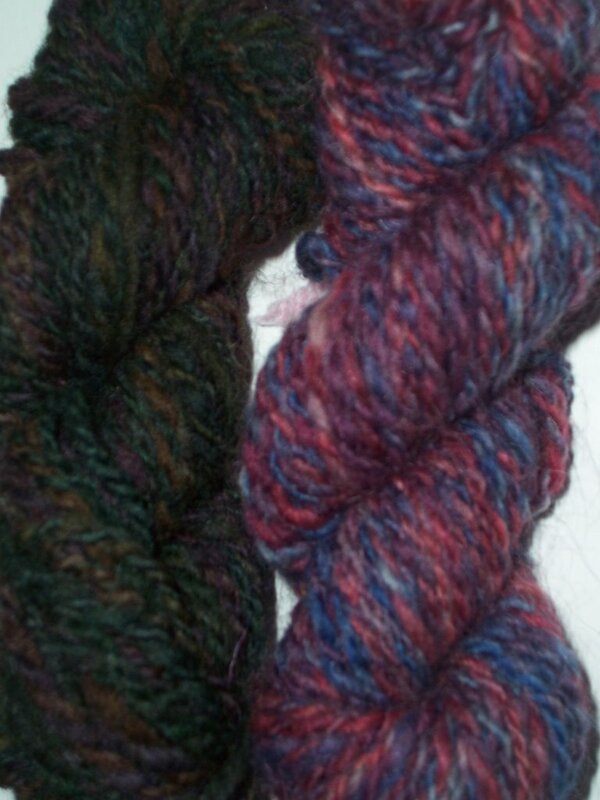 Since I only got all of 3 comments, I’m going to send La Bean and Del some handspun also. Hope you guys had a wonderful Holiday and I wish you all a Happy New Year! Where does the time go,……really? Let’s get right to business shall we. 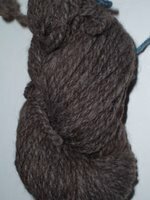 I’ve been spinning and carding rather sporadically as of late. If I had to categorize it, I’d say more like spinning binges where I spin like mad for hours on end, then won’t even look sideways at my wheel for a couple of days. My handcarders seem to be getting all the action, might be time to upgrade soon. I’ve been trying to send subliminal messages to my sweetie by whispering “Pat Green Drum Carder” in his ear while he sleeps. I’ll let you know if it worked after Christmas. Me: Sweetie look what my friend gave me today as an early birthday gift! Dear Honey (DH): Do you really need more sock yarn? 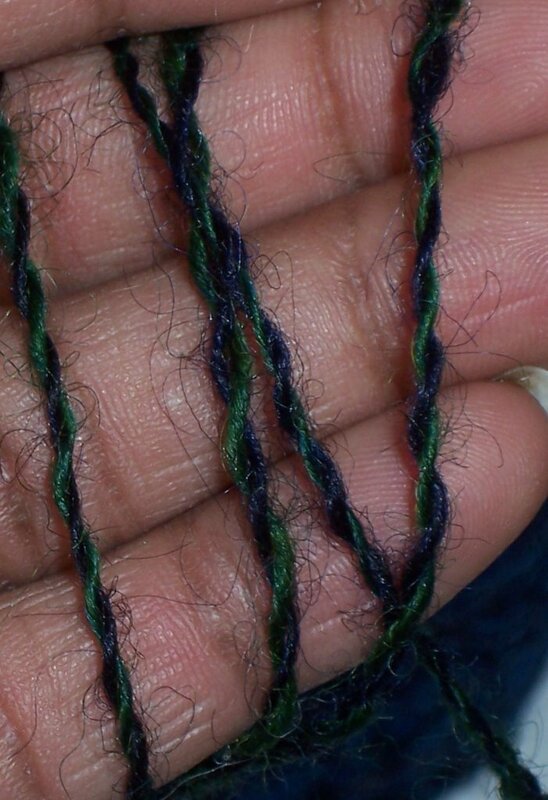 ……….I can’t believe that I know that this is sock yarn. Woman, what have you done to me? Needles to say I busted out laughing and he proceeds to walk away. Probably chalking it up to just another silly knitter quirk. Gotta love it. Moving right along. 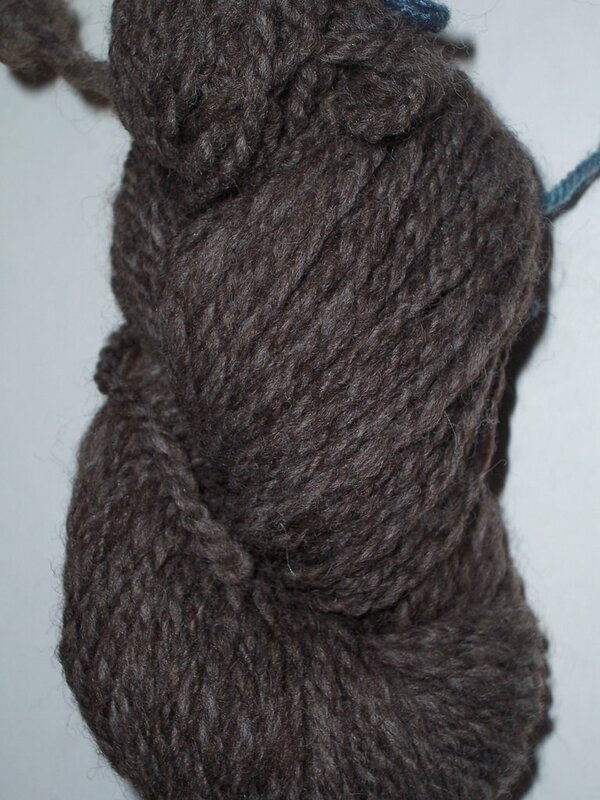 Remember the Romney that I was spinning for the Twisted Knitter dye-spin-knit along? 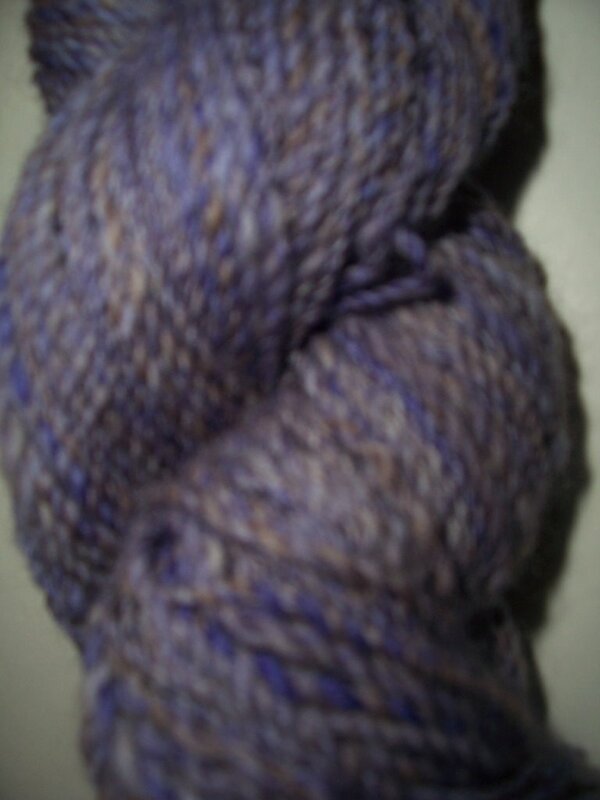 Well I spun it from the dyed rolags but I’m not crazy about it.. I have my mind set on socks whether the yarn likes it or not. Capricorns are pretty stubborn ya know? So here’s the start of one short row toe sock.. They’ll probably be footies based on the small yardage. I love magic looping toe up socks two at a time because you can just knit til you run out. I just got small steamer that I can use solely for dyeing so I really want to start experimenting with my dyes again. I dyed a little sample skein I spun with Wiltons just to see what I would get. To tell you the truth, I really don’t remember which combination of colors I used but here are my results. I forgot to take a picture of it while it was all skeined and pretty. I started knitting a tissue cover out of it yesterday while I was in the Laundromat. I planned on gifting it to one of my coworkers but it’ll have to wait until after Xmas. As far as knitting goes, I finally finished my Cuzins Socks That Rock.. I ended up putting a little design on the leg because the stockinette felt like torture. I’ll take a pic once I’ve gifted them. I don’t want to ruin the surprised for her. I’m almost done with my son’s vest. I’m just waiting for my next meeting with my knit a long buddy blogless Sherrin so we can finish our vests together. She’s doing hers in a chunky burgundy yarn and it is just fabulous (as she would say). I’ll post a pic of hers too if she lets me. I’m so proud of her and her take charge type of attitude when it comes to knitting. Just a little while ago she was a beginner and she’s moving up the ranks rather swiftly. Anyhoo, here’s a pic of my almost finished one, modeled by mister mini GQ himself. The second gets first pic and the 5th gets the next. Sounds fair enough? Before I forget, Chloe asked about the pullover baby sweater that I knit recently. Well I knit it from hem to hem starting with the back. Then I casted on for the sleeves. Once they were done, I casted those sleeve stitches off and proceeded down the front all the way to the hem. Sewed up the sides and I was basically done. 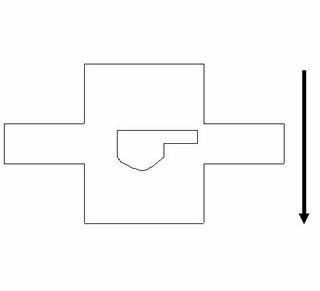 Here’s a crude diagram so you can get a better picture of what I’m talking about. If I get a chance, I’ll write a pattern for it and post it here.